NaNoWriMo (National Novel Writing Month) has arrived once again, and to get the creative juices flowing, it’s time for a writing challenge! Let the image below inspire you on your journey to write 50,000 words before Friday, November 30. 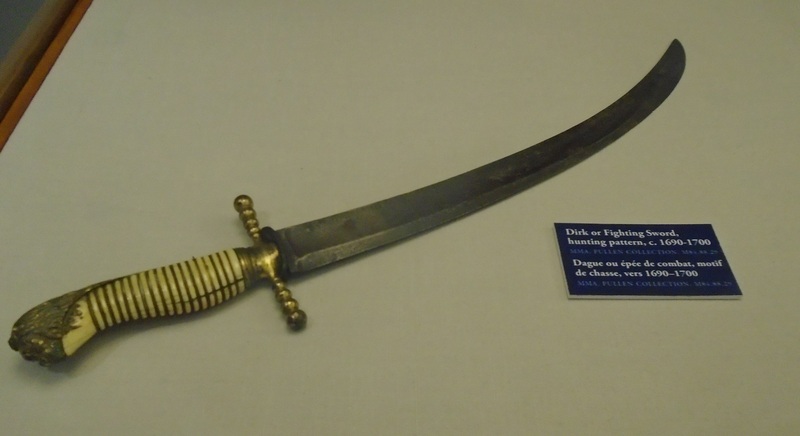 A fighting sword from the late 17th century rests in place. Beyond what little is stated on the placard alongside it, the history of this weapon remains unknown to those who pass it by. What testimony would this silent witness to the past reveal? Has it dulled with time or is the blade as sharp as when it was made? Where might you encounter it, and what use would you make of it now?